Designed to give your hair show stopping waves with style that lasts, the BaByliss Pro Titanium Expression Deep Waver features extra large titanium-ceramic plates for a deep, frizz free finish. Simple and easy to use, the waver has an impressive 15 second heat up with constant temperature control which ranges up to 210°C so it's suitable for all hair types. 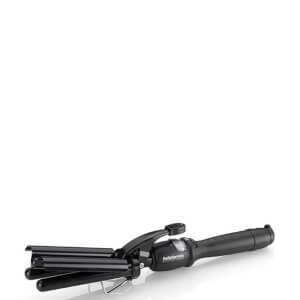 The 2.7m swivel cord ensures ease of use, and the waver comes complete with a heat mat and storage compartment for safe keeping. Giving you effortless style with a lasting sleek finish, the Titanium Expression Deep Waver is a must have! K.D.